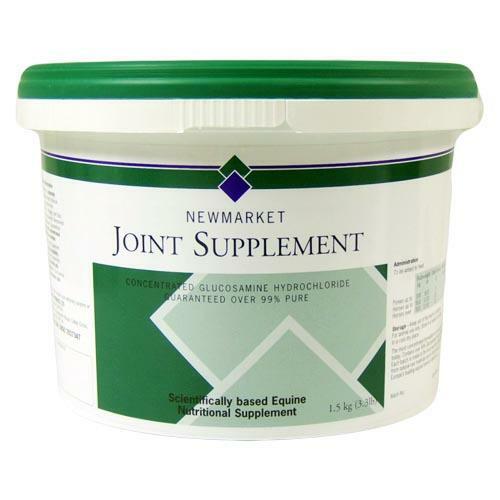 New Market Joint Supplement is an exceedingly powerful natural aid in the production and repair of cartilage, joint fluid, tendons and ligaments. This supplement offers the highest concentration of the active ingredients Glucosamine available on the market today. This formulation is tailored to a superior quality and is guaranteed by Europe’s top equine forensic laboratory to be 99%+ Glucosamine Hydrochloride purity. This particular supplement promotes joint strength, nourishment and repair.